After triumphing in last year’s Boat Race, Rob Baker has been determined not to allow the momentum from a successful campaign to dwindle. Both of his Trial Eight crews were strong, packed full of experience and talent despite the notable omission of President Daphne Martschenko through illness. The crews were named Expecto Patronum and Wingardium Leviosa, in a fairly obvious nod towards the Harry Potter series. Expecto Patronum won the toss and choose the Surrey station, which was a welcome boost after the loss of Paula Wesselmann earlier in the day. Off the start, Leviosa were slightly quicker to reach the end of the Putney Embankment but the crews had drawn level by Barn Elms Boathouse. Keen to exploit their early bend advantage, Leviosa moved out to half a length passing Craven Cottage. Umpire Sir Matthew Pinsent repeatedly warned the Middlesex crew, as they made full and frank use of their station. 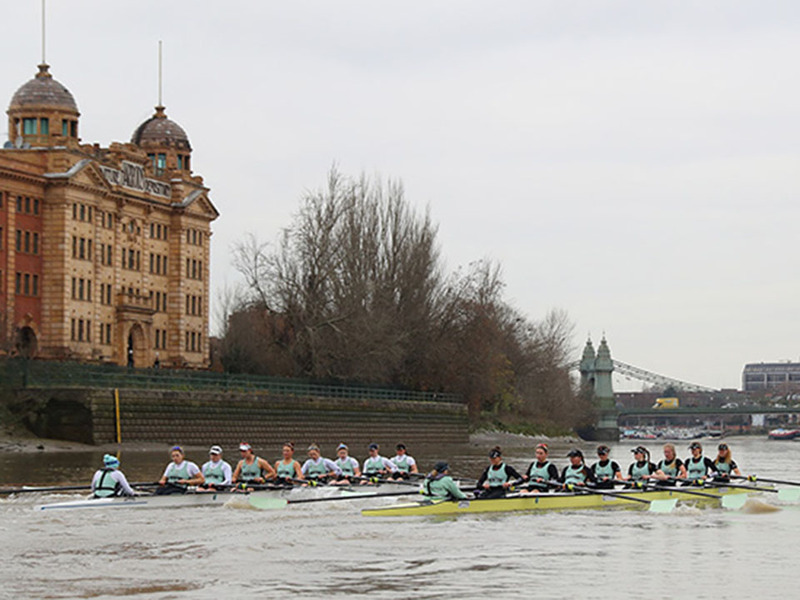 The crews again converged passing Harrods Depository; Patronum showed the strength of their character to keep Leviosa in check before responding with a powerful push at Hammersmith Bridge. The composure of Patronum was evident as they drew longer and sat taller in choppier conditions passing St Paul’s School Boathouse, although they did incur the consistent wrath of Pinsent by continually slewing across the indistinguishable line that separates the two stations. Patronum continued to draw away from Leviosa, establishing a clear-water advantage by Chiswick Eyot and pushing further ahead passing the Bandstand. Passing underneath Barnes Bridge, the lead became irreversible as Patronum controlled proceedings with a combination of impressive technique and questionable steering from Cox Sophie Shapter. Across the line, the result was given in favour of Expecto Patronum by two lengths.